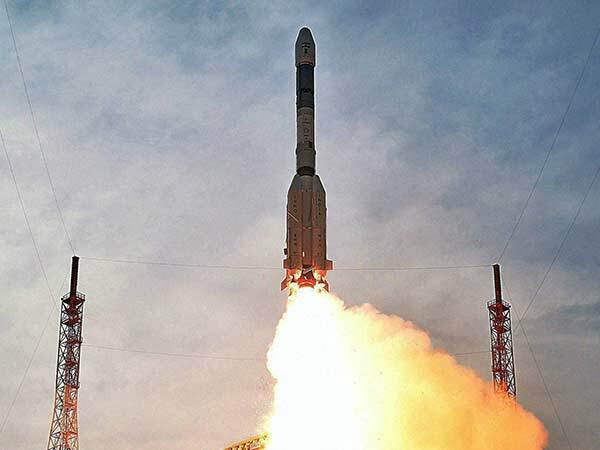 Another boost for India’s low-cost, but extremely promising, space program took place this morning after the country launched its first space observatory in space. 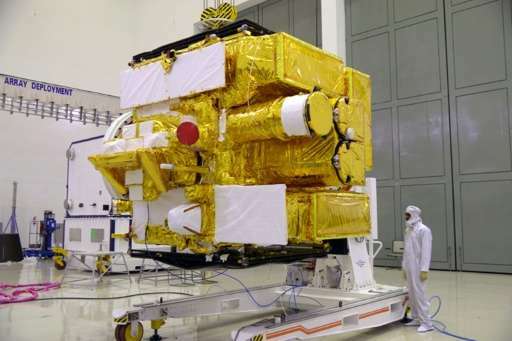 Blasting from the spaceport of Sriharikota, close to Chennai, the Astrosat telescope was deployed without any difficulties in Earth’s orbit, some 650 km above. Along with it, some six satellites piggybacked, four belong to the US, one to Canada and the last to Indonesia. The launch took place almost a year, give or take a week, since the Indian Space Research Organisation (ISRO) became the first Asia space agency to deploy a mission to Mars. Back then, the Mangalyaan probe entered Martian orbit and is still operating today, studying the Martian surface and atmosphere, all while tuning in for signs of methane gas – a byproduct of life. Here are some lovely pictures taken by the Indian probe. What got so many excited by Mangalyann was that the probe only cost $74 million, or just 1/10 of a Martian probe deployed by NASA, and took a mere 14 months from start to deployment. Likewise, the Astrosat, which is a sort of Hubble telescope, was very cheap to deploy: only $27 million. There are some major differences though, and it’s only natural for this money. For one, while Hubble is still operating today, Astrasat shouldn’t work for more than five years, although operating past its warranty isn’t excluded. Just look at the Opportunity rover, which is still roaming Mars 11 years past its operating plan. Secondly, Astrosat isn’t quite as well equipped as Hubble or as large, even though it’s a lot more modern. At the same time, Astrosat can do some things that Hubble can’t, like using X-rays. Astrosat is also equipped with an Ultraviolet Imaging Telescope, capable of studying celestial bodies and cosmic phenomenon over a large frequency spectrum. According to ISRO, Astrosat will mainly study black holes and the magnetic fields of stars. Officially, India now is in select company. It’s the fifth nation to have a space observatory in space. The others are Japan, Russia, US and the European Space Agency. While Astrosat, like Mangalyann, is making headlines all over the world, as well as nation over billion strong proud, some have critiqued these investments. India is one of the poorest countries in the world (its government isn’t). Why send spaceship to Mars when 640 million Indians defecate outside, some would say. Truthfully, it’s quite difficult to answer. Personally, I feel there will always be problems, earthly problems that is, for any government – even for the wealthiest. What Astrosat and Mangalyann are doing, however, is more than installing toilets for a couple million people. They’re the spearhead of a fledgling, and frankly, very successful space program. They’ve accomplished so much with so little. Just like the Apollo moon landings, these missions – maybe only the beginning for ISRO – are inspiring a whole generation of young Indian kids, numbering hundreds of millions mind you, to pursue science and education. Then, apart from the long term economic and social benefits, these missions can also generate immediate income. The US, Canada and Indonesia paid good money to hitch a ride on the Polar Satellite Launch Vehicle (PSLV-XL) – an Indian-made rocket. Such opportunities will continue to expand as the space market, as a whole, inevitably grows.